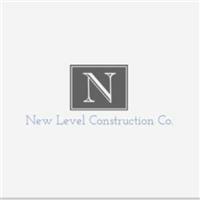 Here at New Level Construction we are a family run business with many trades available to undertake all kinds of work in New builds, refurbishments, exstentions, loft conventions, kitchens, bathrooms, drainage down to front and back garden overhauls including fencing patios and luxury outhouses. We also offer digger and dumper hire with drivers on request, which allows us to reduce the price of our builds without having to pay for unnecessary hire of these machines. Our goal is to is to achieve the highest possible standards of work carried out in and around you home. For any inquiries please contact us via email-calls or text thank you for reading though our page we look forward to hearing from you regards Connor.